Around 50 people joined the March M25LTG meeting to look at technologies that aren’t obviously or ‘officially’ ed-tech, but nonetheless are being adopted for teaching and learning. Proceedings kicked off after lunch with an engaging and battery-draining hour led by our host Katie Stripe, Senior Learning Designer, Imperial College London and co-presenter Katie Piatt, E-learning Service Manager at the University of Brighton, to launch the IMPLEMnT website (see previous blog posts here). The aim of the meeting was to demonstrate some of the technologies detailed on the IMPLEMEnT website and to encourage attendees to consider how they might contribute to, and make use of, the project in the future. They used a range of different tools throughout our presentation and information on all of them can be found on the site. First up was the “Spot the Ed Tech logo” quiz using Kahoot to wake people up (contained dancing!). It was a hard fought contest that was won by City’s Julie Voce who was the lucky recipient of three case study cards from the Implemnt project. One of the issues that they have encountered while building the IMPLEMnT site is the taxonomy they use and finding a balance between making it manageable while allowing the community to express the technologies used in its own terms. They used Poll Everywhere to consider what tags they would use to describe YouTube and Turnitin and compared our results with the tags used by Implemnt. In both cases the audience came up with much wider ranging tags that they had decided on for the site. This highlights 2 issues. One, the broad range of descriptions available to people when describing technology and two, because of the joys of the English language they have multiple ways of saying exactly the same thing! This was following by an interactive session using Mentimeter and Poll Everywhere to introduce Implemnt, which is drawing together technologies and mini case studies with a view to crowd-source ideas for sharing with the community, and get the audience suggesting tags for various technologies and appropriate language use that the Implemnt project features. To collect further case studies for the Implemnt project, they were encouraged to think about how they could support different activities through the use of a Wheeldecide activity where Katie P asked how they could support a particular teaching activity using a particular teaching tool type, e.g. What can be used to support assessment by graphics? Dom Pates from City provided an example from City’s MA Academic Practice where one assessment uses Venngage to ask students to design a poster using infographics. The next phase of site development will be to make sharing easier. They are hoping that the site itself will hold full case studies but that those will be reduced to a format which can be printed, shared on social media or embedded in other sites for training or promotion. Watch this space! CJ Taylor, Nick Feather and Jonny Sadler from Brighton and Sussex Medical School (BSMS) talked about the use of Slack for tutorials. Previously they had used a PowerPoint quiz delivered via the VLE, but this approach was not popular with students, so they have been exploring the use of Slack. In their first year of use, they ran one session with all 120 students and 2 facilitators, however this proved to be a lot for the facilitators to respond to and students struggled to keep up. For the second year, they made the groups smaller with one facilitator per group and this has improved the experience. The facilitators all sit together for the session which makes it easier for the Learning Technologist to provide support. Alongside the talk the team from BSMS had set up an M25 Q&A Slack group which gave us the opportunity to try out Slack’s features, as well as ask questions. Naturally inquisitive they played with a number of the features, including polls and threads. Amy Icke from the Girl’s Day School Trust talked about how the Trust had made Microsoft Teams available (Click here to access the slides) across their 25 schools in England and Wales and now had over 1,000 in use. Teachers use it as a place to share and search for resources and have found the search functionality to be very comprehensive, including the ability to search within documents and OneNote. One downside is the lack of tagging functionality. Some of the schools are even looking at using teams instead of their VLE and have integrated teams with their student record system using SalamanderSoft. One of the most interesting uses was a Teams site set up to support girls applying to do Maths at university as they are typically only one or two per school so the site provides a good way to bring them together to share ideas and resources. Leonard Houx (Cass Business School) used the analogy of learning to skateboard to give a brief update on, and invitation to join, the London E-Learning Reading Group, which meets on a monthly basis. Look out for future Reading Group meetings on their Eventbrite page and via the M25 Jiscmail. Closing the day was a discussion led by Sonja Grussendorf (LSE). They considered the advantages and drawbacks of using technologies that weren’t designed for education. There was hearty debate about what constitutes “edtech” and the role of tech multinationals in the education sector. Our next meeting will take place on Thursday 18 July at the London College of Communication, University of the Arts London. Further information will be circulated via the M25 Jiscmail. This is a timely book because it is really asking some big questions about what is the whole point of higher education and how does the digital university fit in to the current HE landscape. It really puts the evolution of the digital university in the context of the changes that have taken place over the last 30 years or so. Over this time, universities have morphed into the neo-liberal political terrain. Key aspects of marketization have been introduced by successive governments of all political persuasions. Universities now compete within a market place to recruit the ‘best’ students and the income they generate. For many, students are now considered to by consumers in at least some aspects of their education. New providers, now with an explicit profit motive are entering this market who have a very different value system from the more established universities. Overseeing this quasi market are new regulatory bodies like the Office for Students and ranking of universities is now de rigueur and universally accepted as the norm by many commentators of the sector. Universities with deep pockets aim to be number one whilst others with less resources are aim to be the one that doesn’t fail first. “A rat race is for rats. We’re not rats. We’re human beings. Reject the insidious pressures in society that would blunt your critical faculties to all that is happening around you, that would caution silence in the face of injustice lest you jeopardise your chances of promotion and self-advancement”. 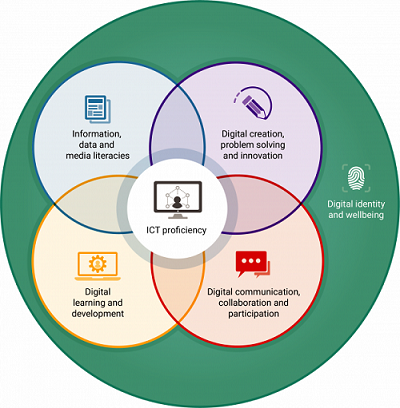 At the heart of the authors’ understanding of the digital university is a conceptual ‘matrix’ that consists of four components; digital participation, information literacy, the learning environment plus curriculum and course design. As the authors note, none of these concepts is novel in themselves, but bringing them together and analysing their interrelationship provides a holistic way of understanding the digital university. Digital participation involves public engagement by universities to increase wider participation and encourage the notion that universities are a public good for the whole of society. Information literacy is the notion that students develop their digital literacy skills to improve their academic potential and capabilities to achieve their own personal development. The learning environment is both the combination of the digital and physical spaces that exist within and beyond the university. This is more than just the institution’s virtual learning environment, here the notion of the ‘porous’ university is explored in some depth. 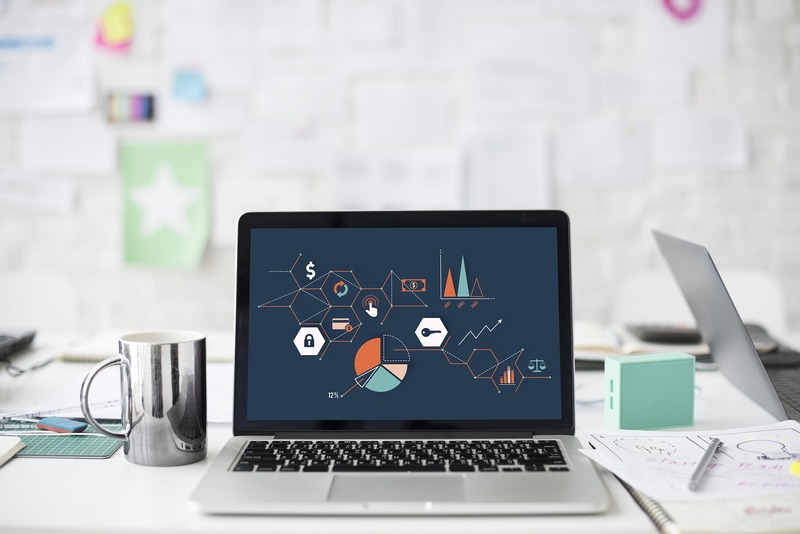 Curriculum and course design is in turn shaped by ‘constructive alignment’, assessment and the move to more recent developments, such as digital analytics. Wrapped around this ‘matrix’ are two key concepts that stand in direct contrast and contradiction to the neo-liberal university. Firstly, the concept of ‘open education’ places collaboration, sharing and cooperation back into the educational mix. Through open publishing, open source software, and open educational resources and practices higher education practitioners are challenging the neo-liberal dream of a consumer driven system. The book is littered with many good examples of open education where staff and students are the co-producers working to create a ‘digitally distributed curriculum’. The second major strand that the authors promote with some vigour is the idea of critical pedagogy which originates in the educational philosophy of Paulo Friere. Here notions of what should be studied are not solely dictated to by the job market but what is best for the full development of the student. This type of learning requires a range of educational practices and processes that puts the student at the centre of the educational process with the goal of not just creating a better learning environment but a better world. Students are encouraged to reflect and be critical on what and why they are learning and how digital tools can help them do this. This is not the type of aspirations that you usually get when reading most current commentators of learning technology in higher education! Integrated and meshed into their conceptualisation of the digital university are other aspects of what is possible. I especially liked the chapter towards the end of the book on the ‘Academic Developer as a open provocateur’. Building on the ideas outlined in earlier chapters of the book it is argued that academic developers, not matter what their job titles are (Educational/Academic Developers, Learning technologists, etc.) can promote and disseminate the twin concepts of open education and critical pedagogy to provide a meaningful learning experience that will equip students in all aspects of their lives once they leave university. Overall this book is a refreshing breath of air because it does show there are some clear alternatives to the current trends that are happening in the university sector, in other words ‘there is an alternative’. The key ideas of the book, the ‘conceptual matrix’, the ‘digitally distributed curriculum’ and the concepts of the open education and critical pedagogy are illustrated with a variety of interesting examples. For some the variety of examples and ideas might be a bit overwhelming on first glance but they are worth pursuing and exploring in more detail. Ultimately the neo-liberal trend in our universities will probably have to be reversed by bigger forces like changes in the political ideology of governments or resistance from broader social movements but what this book does give are some clear alternatives of what we can do in the ‘here and now’ to make education a better or more worthwhile experience. ‘Conceptualising The Digital University – The intersection of policy, pedagogy and practice’ by Bill Johnson, Sheila MacNeill and Keith Smyth is available from Palgrave Macmillan publishers or from Amazon. For some reason I seem to have established a pattern where I only attend the OER conferences every other year. While I would have loved to be there in Newcastle, in Edinburgh, in Bristol (and I followed each one intently online), I find being at the OER conference in person almost too much to process, not just on an intellectual level but also on an emotional one. Like no other academic gathering I know, these conferences are full of powerful emotions and OER19 was no different. From the opening keynote by Kate Bowles, OER19 was full of hope. Not naïve, unbridled hope – that would prove impossible from the moment we heard Kate’s searing critique of the ‘expanding university’ – but a sense that a commitment to ‘optimism as a discipline’ would help to ensure that higher education around the globe can genuinely fulfil some of its open potential. Galway is a magical place and there was wonder all around at this conference. From Su-Ming Khoo’s breathtaking, imaginary, deeply metaphorical journey around the Pacific to the incredibly rich short stories that we entered through the portal of room G009 on the second afternoon, we travelled far and wide, in time and space, to understand the importance and many meanings of open. An absolute highlight came with the bravura performance by Sara Thomas, in seven or eight minutes interweaving the stories of two women, Marie Lamont & Lady Catherine Bruce of Clackmannan: women’s stories that, thanks to Wikipedia editathons, are now openly available. Even if it stops you reading the rest of this post, I urge you to take eight minutes out of your day to listen to Sara. We are undoubtedly in a difficult moment and, guided by the conference theme ‘Recentering Open: Critical and Global Perspectives’, delegates and online followers knew that they would be asked to face up to some challenging questions. I was particularly taken by Billy Meinke’s calm but devastating deconstruction of our problematic technological landscape, not least because it was a future that was clearly predicted. Likewise, I was convinced by Bonnie Stewart, Lawrie Phipps and Dave Cormier that we need to (re)commit to (re)building a #ProSocialWeb. Given some of the negative, downright scary, things people are exposed to and experience when they inhabit online spaces, I fully understand the apprehension this might cause but if we don’t ‘bring our values to the internet’, who will? As with all OER conferences, it was greatly encouraging to see the breadth and depth of research and scholarship on open. The Galway edition was particularly notable for the way it foregrounded the voices and work of current research students. Students from the Global OER Graduate Network featured prominently and along with others stood shoulder to shoulder with established names in the field of open. The keynote panel featuring three of these voices, Taskeen Adam, Caroline Kuhn and Judith Pete, was one of the most thought-provoking sessions at the conference, challenging many of us to consider our position of relative privilege and reflect on what open means from other perspectives, literally upending our lens on the world. We should also be encouraged by the various ways, sometimes surreptitiously, often ingeniously, folk have managed to insert and embed open practices within their institutions. This remains thorny territory but Dave White and Kate Lindsay’s session gave us an idea of how it might be done and, even though I wasn’t there, I know my Edinburgh colleagues also demonstrated the potential for really embracing openness in a university’s values and practices. This is not unique to the OER conferences but I really did want to be in at least three places at once in Galway (even more so on day one, when part of me yearned to be on a sunlit Atlantic-facing beach with my family). 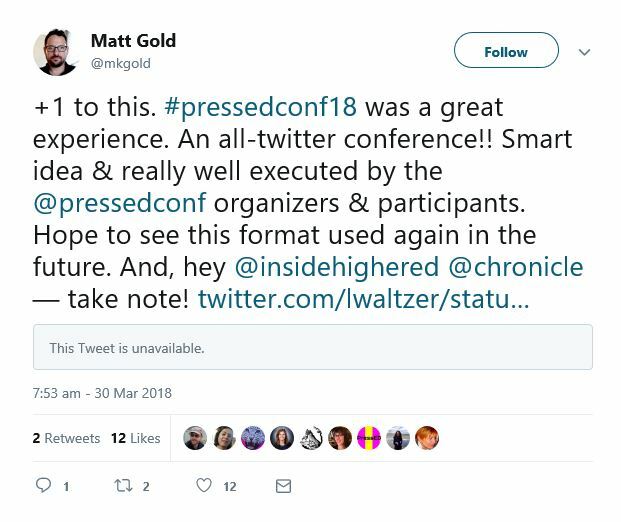 All the more reason to be thankful for the sessions that were recorded by Martin Hawksey and Harry Lamb (see the sessions marked YouTube on the conference programme) and all the more reason to set aside some proper time to review the hashtag and treasure trove of linked resources. You will do this as well, won’t you? It was also a source of regret that I didn’t get to speak to everyone in person. And I mean everyone. There were a number of people who I know from Twitter who I wanted to seek out (can’t believe I never managed to say hello to Bonnie Stewart!) but the truth is everyone at the conference brought with them such fascinating stories and a myriad of reasons for engaging with open that time spent with each individual added a layer of richness to the experience of being in their company. Kate Bowles encouraged us to deliberately speak to someone we didn’t know before arriving at OER19 but, such was the warmth of the community that gathered together, these conversations seemed to happen completely organically. The half an hour I spent at lunch on day 2 with new friends from Brazil and Iran will be one of my most treasured memories of OER19. What a beautiful and powerful quotation by Rebecca Solnit that our brilliant co-chairs Catherine Cronin and Laura Czerniewicz chose independently (together), to conclude this conference. For me, hope remains the abiding emotion of OER19. It resonated with those in the room and those following online and it is also a call to action that will ‘shove us out the door’ every morning between now and the next conference and many conferences after that. So, onto OER20. Given my pattern of attendance, I probably won’t be there but, if not, I will once again follow closely online. Either way, I fully expect that it will be another critical, and emotional, nodal point for this incredible open community. At the last West Midlands group meeting, it was decided to adopt a new approach and write a collaborative blog. People were invited to write about what they thought about the day, what stood out for them, and what they would take away? I think for me the key questions were around practitioner identity, whether as an educator or learning technologist. An insightful opening presentation from Teresa MacKinnon challenged us to consider our core purpose(s) in our roles and ask whether the frameworks we work under speak to our sense of professional identity. It was fascinating to receive the group’s discussion feedback as part of my presentation on the Education and Training Foundation’s new Digital Teaching Professional Framework (DTPF) which sets to frame the digital skills that teachers need to deliver new curricula such as T Levels. It was encouraging to hear that many in the room welcomed such a flexible framework which invites practitioners to examine 7 key teaching roles and decide whether they are a digital ‘explorer’, ‘adapter’ or ‘leader’. I’d agree that it is useful for teachers to declare themselves as just setting out to ‘explore’ some aspects of digital teaching while being able to conclude that in other aspects of their professionalism they may be ‘leaders’. Perhaps this encouragement to consider a spectrum of competences might invite a more nuanced approach to professional learning than a binary, tick-box ‘I can / I can’t’ use technology. That said, the issue with any standards framework, I would say, is that its authors tell us by default what should be considered important by virtue of what they include and by what is neglected, or minimised. The discussants certainly appeared to think that more emphasis might have been placed on the competencies at the end of the DTPF, namely equality and diversity, accessibility, learner and teacher wellbeing, management of digital identity and development of pedagogy and reflective practice. Other competencies appearing earlier in the DTPF appear to put a focus firmly on future employability, work-readiness and industry skills as the core purpose of education. Discussants appeared to favour adopting a more holistic approach to their roles, considering the ‘whole learner’ and their place in family, community and wider society as well as the workplace. Definitely a question for future debate, I think. I haven’t been able to stop thinking about our conversations. Teresa’s opening presentation really resonated. Transparency, dialogue and debate were clear themes throughout the day. As Teresa rightly said, the key to tackling Critical Digital Literacy (CDL) is one of time and space. Time and space to talk, to challenge and share. I have one question that I cannot get out of my head: How do I apply this to my context? I am a supplier of software and services. I am, to some extent, part of the decision making process. I am paid to encourage people to use software and digital tools. There are many people like me. How do I balance what can be two opposing modes? The critical practitioner who wants to engage in critical discourse, and the employee who has to do certain things despite their personal feelings. I think this area is a hole in the CDL discourse which needs to be filled. How do we balance criticality and practicality? Lynne also raised a really interesting point around frameworks. That they dictate what is considered important in education. Frameworks attempt to confine the complexity of human beings and learning in to simplistic, tickable checklists. There’s a lot to be considered here. We use frameworks to drive consistency and quality, but have they become the killers of creativity in education? The meeting also prompted a conversation with my colleague, Amber Thomas, about conscious choices we make when using technology. How many of us read the terms and conditions? How many of us check how data is to be used? Very few, I imagine. With all the negative press around Facebook, how many of us have stopped using it? We make conscious decisions when we use technology. The individual decides what they are willing to relinquish. Using the Facebook example, consider someone who has no other means of keeping in touch with family, friends and local events. Should they give up that connection with humanity because Facebook is unethical? Some would say yes but we shouldn’t be so arrogant as to assume that we know best for other people. We can make them aware so that they make their own informed choice. We had a great day and I hope to see you all again soon at the next meeting! Lynne Taylerson is director of independent training provider Real Time Education. She is a teacher educator, mentor and leadership trainer in FE and HE specialising in educational technology. Lynne holds CMALT, tweets @Realtimeedu and is currently studying for a PhD in education around educators’ use of social media communities for professional learning. Kerry Pinny is a Senior Academic Technologist at the University of Warwick. She is interested in digital capabilities, enjoys GIFs and tweets incoherent ramblings @KerryPinny. 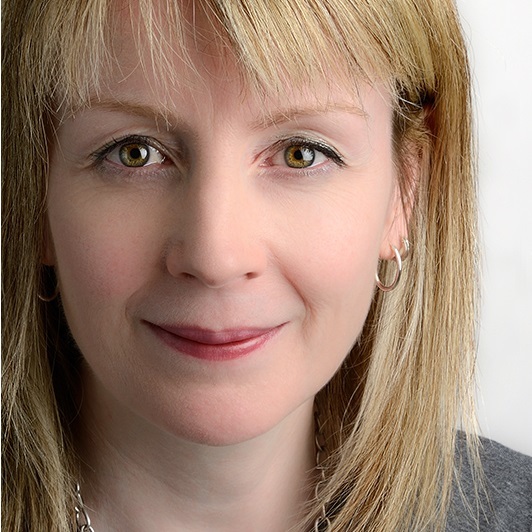 Pip McDonald is a Learning Technology Project Manager at LAL Language Centres and is currently based in London. She is interested in Technology Enhanced Language Learning (TELL). Twitter: @PhilippaMcDona3. It all started in 2016. As part of a course assignment, Master’s-level students at the Faculty of Psychology of the Autonomous University of Nuevo Leon (UANL, for its acronym in Spanish) in Mexico edited Wikipedia articles related to their research interests. They could add examples, explanations or references. They could create their texts from scratch or translate the English versions to Spanish. While they had all used Wikipedia as a source of information, they had not not created content for it. Their task was to make valuable contributions that could withstand Wikipedia’s quality control. As their teacher, I aimed to help them develop their writing skills and their digital literacy. Students faced this process with nervousness, uncertainty and questions: What can I contribute? What if I am wrong? How do I do this? It represented a shift from being mere knowledge consumers to knowledge creators. It required them to learn about open knowledge, and overcome their fear of not being good enough. Most participants succeeded and were thrilled about it. Their words that are now helping people all around the world. They are now part of Wikipedia. And suddenly I realised we could do so much more. It was not only students who had to redefine their roles. I also had to acknowledge my potential impact as a facilitator of open knowledge. I slowly started to embrace a new mission: forming new generations of Wikipedia editors. If you are unfamiliar with Mexico and its limitations, there are some facts useful to know. First, our population is of approximately 120 million people, but those with university studies are a minority. Only 22.6% of 25 to 34 year-olds have tertiary education. This is below the 44.5% average of OECD countries (51.6% in the UK) (OECD, 2019). Roughly 6% are expected to pursue a master’s degree (OECD average: 24%) (OECD, 2018). Mexican graduate students are thus in a privileged position to share with others specialised knowledge. Second, most Mexicans do not understand English. Many open initiatives have originated in the developed world: UK, Canada, US, Australia, etc. They are wonderful but inaccessible for non-English speakers. It is unclear what percentage of Mexicans can read English, but stats range from 5% to 44% (Becerril, 2015; Notimex, 2015). Even when people report knowing English, they might not feel confident enough to learn a different topic in English or might consider doing so too much of an effort. Third, information in Spanish is limited. In Wikipedia, about 1.5 million articles are available in Spanish, a number overshadowed by the 5.8 million articles in English (Zachte, 2019). The sad implication is that many Mexicans (and Latin Americans) cannot benefit from the easy access to reliable knowledge that Wikipedia offers. Within this context, the relevance of documenting knowledge in Spanish became evident. With the support of my students and my colleagues, I can help with this. In December 2017 my Master’s students and I agreed to transform the regular course assignment into an editathon called Wiki FaPsiUANL. We applied for a grant from the Wikimedia Foundation, which was approved. The funding, though small, meant the world to us. We had international support! We involved other graduate students, alumni, lecturers and researchers at the Faculty of Psychology of UANL. We taught them how to edit Wikipedia and provided a space for them to work on their contributions. We had 21 participants, who described the experience as interesting, innovative and collaborative. In a follow-up survey, they reported feeling satisfied and wanting to be part of other initiatives related to openness. Wiki FaPsiUANL was just the start. This year we used the Open Education Week as a platform to expand our reach. Once more, we got funding from the Wikimedia Foundation (yay!). We organised a series of editathons and talks about open knowledge. We invited past contributors and encouraged new ones to become Wikipedia editors. The Faculties of Medicine and Sports Organisation at UANL joined our initiative and helped with the logistics for the face-to-face sessions. The University da Vinci, a Mexican online institution, provided virtual rooms where people could find support. We added to the name of the event to reflect its growth: Wiki FaPsiUANL + Wiki UANL + Wiki Universitarios. We had about 70 participants overall. I feel quite happy about the outcomes. We wanted the event to be a relaxed and social occasion. After a brief training, people could start editing Wikipedia directly, search for information, have a snack or chat with others. More experienced editors helped the newbies. After one of the sessions ended, people were so focused on their work, they did not want to leave. I have been receiving unexpected messages from participants telling me about their contributions and their feeling of empowerment. I am smiling as I write this. As our scope has grown so have the challenges. Organising the editathons is something we are doing for the fun of it. It is a responsibility additional to our regular workloads. People at each participating faculty and at the University da Vinci helped with the logistics, which became complex and required coordination. Some struggled to effectively manage their time and efforts. One of the participating faculties felt overwhelmed and backed out on the week of the event (and later backed in!). We found encouragement but also criticism. A senior coordinator strongly questioned the value of the event. We listed the benefits of participating, such as enhancing academic writing and developing digital literacy. But he was not convinced. He did not want students to be a part of such an initiative and recommended that the session at his faculty was cancelled. We did not, but we were a bit surprised about such a negative reaction. For me, this was an eye-opening situation. I usually surround myself by people highly involved with openness. I need to remember that embracing the beauty of sharing is a process that requires a paradigm shift not always easy to make. I have learned so much. While we have certainly had ups and downs, I feel quite positive about this path. I think with editathons, everyone wins. Wikipedia readers have increased access to reliable information in Spanish. Wikipedia editors realise that they have something worthy of sharing. They strengthen their sense of social responsibility. They become part of an international community and also, part of history. I am planning on conducting a study to obtain an insight on participants’ experiences. Meanwhile, I hope our journey will inspire other institutions and academics. Next year, during the Open Education Week, we might try to go global. Please let me know if you are interested. Since 2017, Leicester Medical School has been experimenting with 360-degree video for learning. Following the first live-streamed medical surgical operation done by Dr Shafi Ahmed (McGoogan and Murgia, 2016), medical students’ interest was ignited. Leicester Medical School’s student society MedRIFT (Medical Research into Future Technology), which I founded and oversee, decided to pursue this interest and find out how to maximise the affordances of 360-degree video for undergraduate medical education. When Leicester Medical School first acquired its 360-degree video camera, an Omni Go Pro, the first idea was to capture live a surgical procedure, similar to what Dr Shafi Ahmed had done. In this use of the technology, the actions of nurses, operating department practitioners, and doctors, as well as all of the instruments and screens, are picked up on the camera, and all sound too. Students can learn from everything in the environment of the procedure before they are qualified enough to get that close to the action, acclimating them to aspects of the environment and human factors of surgery as well as demonstration of the procedure. Filming surgical procedures was proving difficult in terms of getting permissions from everyone involved. We found that the patients were surprisingly willing, but not all the staff were, and it was hard to find time and situation to discuss this in advance and secure informed consent. So the students brainstormed other aspects of medical knowledge which could be helped by 360 video. They came up with the idea of filming ward rounds, in which the doctor visits the different patients on the ward, checking on them and administering and adjusting treatment as needed. Doctors teach medical students who join them on the round and teach them to document the patient’s case. But students often feel unsure of what to expect on ward rounds when they are just beginning clinical study. Anything can happen during a ward round, and doctors must deal with demands coming from all directions; hence students must learn this too. It was felt that the 360-degree camera would capture this aspect of demands coming from all directions and help acclimate students into the still-unfamiliar domain of clinical knowledge and practice, as in a model of domain learning (Alexander, 2003). 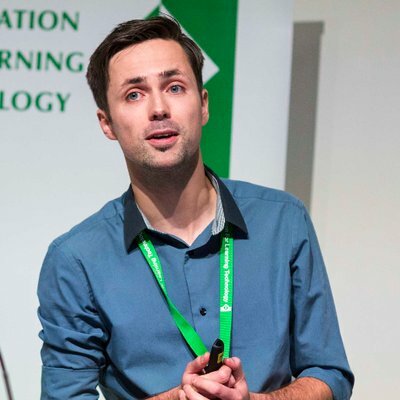 When the Digital Innovation Partnership (DIP) scheme was launched by Leicester Learning Institute we saw our opportunity for supported research. The DIP scheme encourages staff and students to work together to trial learning innovations enabled by digital tools. We devised research to examine learning with 360-degree video, specifically learning to feel confident on the round, to document correctly, and to treat all patients and family members empathetically. The scenarios were actual events experienced by one of our teaching doctors. They were acted by members of a University of Leicester drama society and filmed with a 360-degree camera in the teaching area of the Leicester Royal Infirmary. Using actors to simulate the ward round solved the consent problem, and student actors brought a fresh energy to the project. In the research, one group of students watched 360 video ward round scenarios using Google Cardboard devices. Another group learned about ward rounds by reading PowerPoint presentations, and a third group received no ward round information. All students were then sent into a live ward round situation simulated by actors. The participants were given the task of documenting patients in the live simulation, and then completing a survey which examined their confidence to face the real ward round, their level of empathy for the patients, and their impressions of how engaging the teaching material was. We then evaluated the documentation for accuracy, and also compared survey responses to responses to baseline surveys given before the intervention began. Our research showed that all participating students found the 360 videos to be an engaging way to learn, especially when compared with more traditional methods like PowerPoint slides. 75% of participants felt that learning from the videos helped them to consider how they could show empathy. Watching these videos were not seen as helpful to learn to document correctly, however. Because of this finding, the students decided to add into the 360 videos some further text which helps to ‘signal’ what they need to be noticing and learning about documenting, during that point in the scenario. This video is below. (Note: this is a realistic scenario of a patient at end of life.) You can experience the 360-degree view by dragging the image while the video is playing. We are now offering workshops to our year 1 and year 2 students, helping them to watch these videos with Google Cardboard devices and then discussing the aspects of confidence, empathy, and documentation accuracy. In our most recent workshop, after watching the videos, students put themselves in the place of the patient’s family, discussed all the ways the doctor showed care for the patient’s family, and came up with other ways to show empathy such as doing more to keep the scene private and alerting the other health care professionals to the condition and needs of the patient and family. 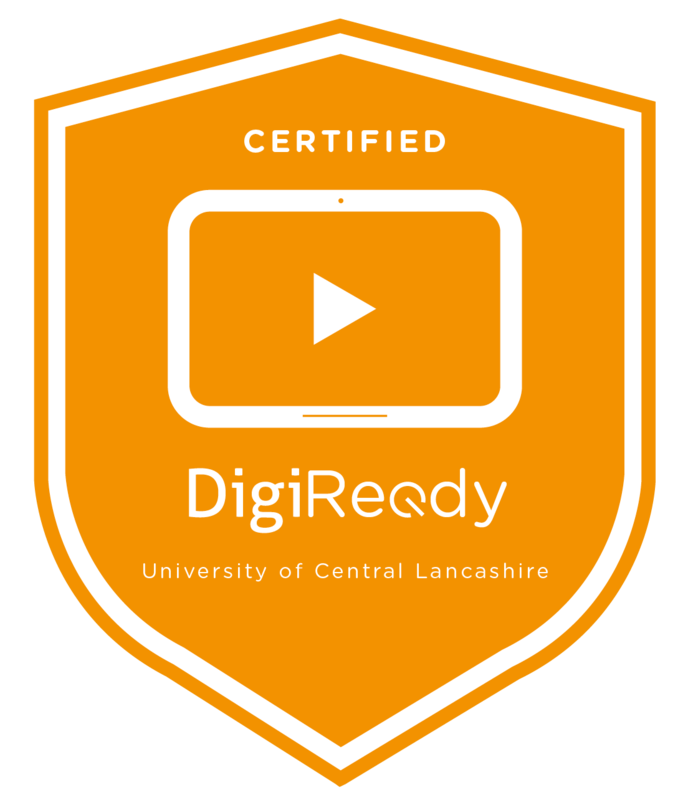 Our next goal is to create an online learning environment offering this teaching wrapped around the edited ward round videos, so that students may watch and learn on their own. With a price tag exceeding £4000, the camera and software were not cheap; however, the videos created can be used and re-used repeatedly and in different contexts. There is therefore a reasonable measure of sustainability in this model of 360-degree video for learning. On the premise that there is nothing that can prepare one for a ward round except going on a ward round, we think these 360-degree videos are showing promise as an engaging way to help students prepare, because they are the next best thing to being there. Alexander, P. A. (2003) ‘The Development of Expertise: The Journey From Acclimation to Proficiency’, Educational Researcher, vol. 32, no. 8, pp. 10–14 [Online]. DOI: 10.3102/0013189X032008010. McGoogan, C. and Murgia, M. (2016) Watch the world’s first surgery streamed in virtual reality live from London [Online]. Available at http://www.telegraph.co.uk/technology/2016/04/14/watch-the-worlds-first-surgery-streamed-in-virtual-reality-live/ (Accessed 25 March 2017). Andrew Sprake – Lecturer in Physical Education & Jess Macbeth – Senior Lecturer in Sport Studies. While the initiative is still in an early pilot phase that will inform its future development, we know it it will play a crucial role in the digital development of our students.